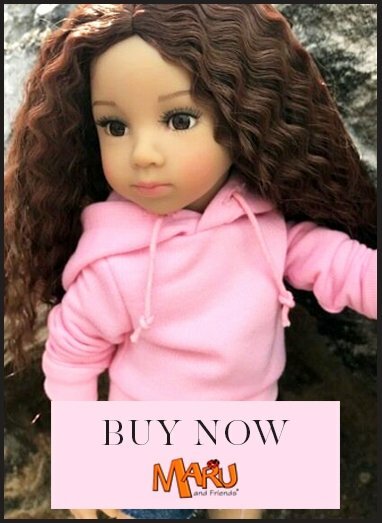 "This African-American beauty, is set to thrill with her dark eyes, long lashes, unique facial features and tight afro-curls! Halle’s fashioned in a white long-sleeve top, paw print chic leggings, knit poncho cape with faux-fur and matching suede grey booties! Did we mention, Halle’s all vinyl body feels like porcelain, but is made from the finest material for durable play, just like our 20-inch Maru™ dolls. Halle™ is the first 13-inch, African-American mini pal sculpted by master doll artist Dianna Effner. Certificate of authenticity included." They are delivered in a beautiful presentation box.